Charming blue chimney album block from Belleville, Republic Co., Kansas. Circa 1920. 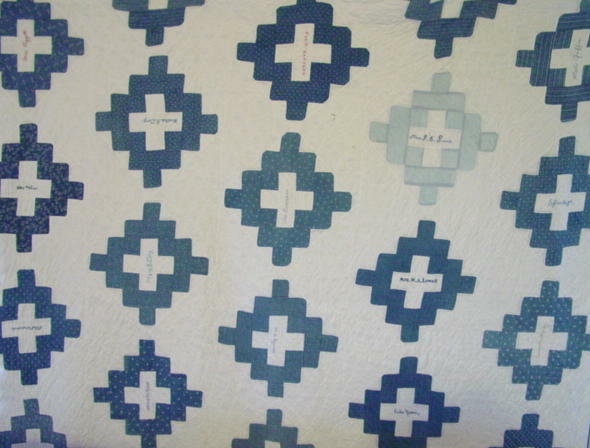 Starley signature quilt collection. The blue and white in a staggered, zigzag setting is quite wonderful! Mary B. Cory's block has a charming equestrian (horsey) novelty print. Commonly seen at the turn of the century in Kansas. I would also consider "Iowa B. Spencer" as the name. 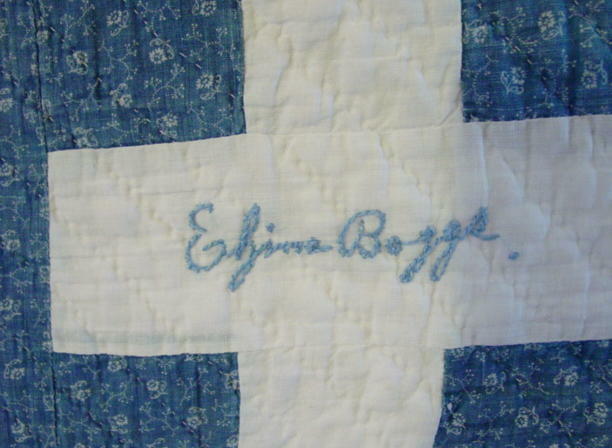 Elizma H. Boggs was 48 and living in Belleville in 1920. She was the wife of Frank E. Boggs. 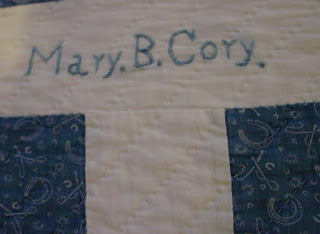 Mary B. Cory was 59 and the wife of Lucius F. Cory. They, however, lived in Lincoln, KS from at least 1900 to 1920. 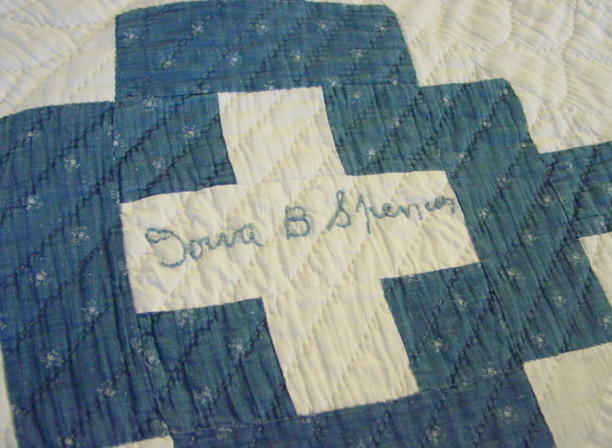 Dora Spencer was 35 and the wife of Henry A. Spencer. They, however, lived one county over in Oakley, Kansas.